Right now, if you’re sitting at your workspace and asking yourself “does my boss like me?” you might already suspect that you’re not your boss’ favourite. On the other hand, it is a common concern in the workplace, especially when you’re new on the job. The feeling of uncertainty about where you belong in an already established work environment is normal, but sometimes those anxieties can distort what is real, and make you feel unpopular or unwelcome by a new boss even when that isn’t the case. 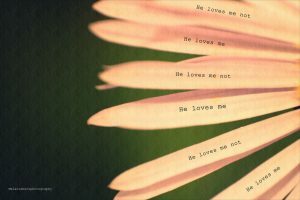 I recently met with a client who half-joked about wondering if her boss likes her, and that it was similar to the preoccupation she had as a young girl sitting in the grass plucking flower petals to see if a boy she noticed loved her or not. She went on to say that not much had changed, because now, even as an accomplished person with a great career, she finds herself surfing the internet to see if there are tell-tale signs that her boss doesn’t trust her, doesn’t respect her, doesn’t notice her efforts, or compliment her accomplishments. I’ll admit that there are countless online articles regarding “signs your boss doesn’t like you” but I still thought I’d add my I/O psychology-tinted voice to the conversation. Sometimes feeling unsure or uncomfortable at work is due to feeling left out or disliked in the workplace. In previous blog posts, I have explored toxic workplace issues including bullying and harassment, which are common reasons behind employee resignations. There are many times, however, when a boss doesn’t have a good relationship with an employee, but it isn’t a toxic work environment, there’s no bullying or harassment. The uncomfortable sense of not being liked by a boss can be accidental, and more a matter of perception. Perhaps you’re not standing out as much as you’d like to but that doesn’t automatically mean you are disliked. For more information about workplace harassment which is defined more by the victim’s perception than the perpetrator’s intention is available here. Whether intentional or unintentional, a boss’ actions can leave you with many negative or uncomfortable thoughts and emotions. The distinction between bullying behavior in the office and not being favored as much as you might want can be a hard line to distinguish. Yet, the outcome often has the same results, with the employee becoming discouraged and unmotivated … and eventually checking out on some level — or even leaving. What follows is a short list of scenarios and explanations that an employee might want to consider when trying to understand what may be going on behind the scenes. It may not change their desire to leave their job, but it could relieve some of the personal insecurities they are facing with their employer. Common complaints I hear from clients include persistent micromanagement from a superior. When we are micromanaged, it can make us feel like we are not trustworthy, competent, or appreciated by the person who’s micromanaging us. Why else would a boss come into your office every hour to check in on your productivity/progress? Some potential answers. Maybe the boss has anxiety about their own job security; along with also having to report back to someone else who is micromanaging them. Often bosses have bosses. 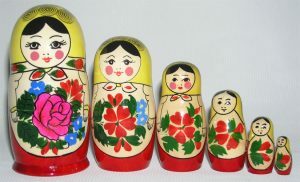 Imagine the concept of a Matryoshka doll and it’s tiered and nested system, revealing a set of smaller and smaller figures inside … this is how most corporations work. So, it isn’t a huge leap to assume that you may not be the driving force behind your boss’ relentless emailing, calling, or hovering presence while you are working. Despite the popular belief that those in upper management have great interpersonal skills, some of us know that this isn’t always true. A boss or executive may have other skills that got them rewarded with promotions to higher levels within an organization, but their soft skills (e.,g., emotional intelligence, verbal or written communication) may not be as well-developed. When a supervisor consistently avoids eye contact, is socially awkward, and misreads social cues it isn’t surprising that an employee might interpret their interactions as unfriendly when there could be other reasons. This includes a boss who interrupts or does not listen attentively. Without a doubt, chronic interruptions and not listening is usually considered rude, but occasionally this is more about the boss’s inability to focus, or grasp others’ input rather than a personal attack. Often, a boss or manager has a heavy, multi-layered workload. This can make room for a lot of miscommunication in the workplace, especially when employees don’t see much of their employer. 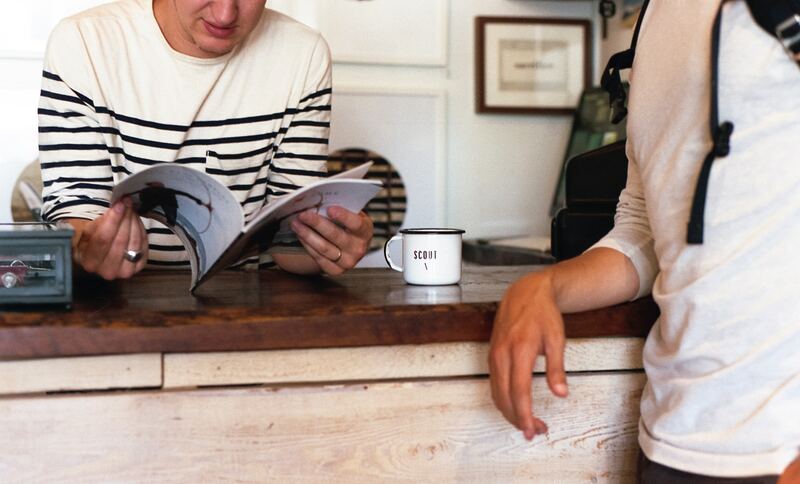 This is the opposite of micromanaging, but it can be just as damaging to the overall morale. When employees don’t get information, updates, or praise, they may feel unappreciated, irrelevant, or worse when the reality is that the boss is scrambling to keep up with their own work. In some cases, employees may eventually feel like the boss is avoiding them or hiding something which can create paranoia and hostility. Our modern workplaces are complicated. Many of us are trying very hard to do much more with much less. When possible, it’s important to view these issues rationally rather than emotionally, that is, until you can confirm that you are the only one experiencing these problems.